The level of expertise and knowledge among Health and Welfare staff is extremely high, and a blog post for the National Alliance of State & Territorial AIDS Directors (NASTAD) takes notice of that expertise in one DHW program manager. 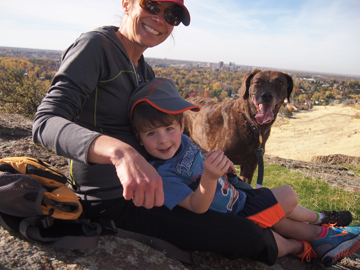 Aimee Shipman, her son, Nathan, and their dog, Ancho, take a break from a hike in Castle Rock Reserve in Boise’s east end. The Idaho Department of Health and Welfare’s Food Protection Program is hosting a series of public meetings throughout Idaho in April and May to discuss two important issues: cottage foods and proposed Idaho Food Code updates. 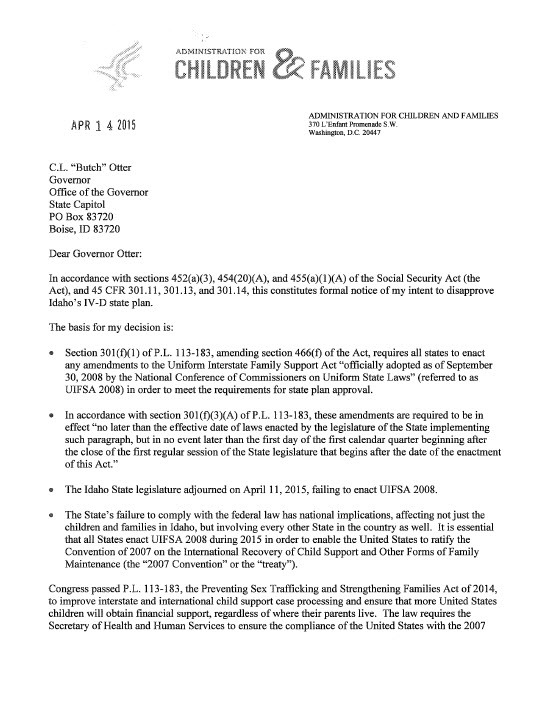 This is a compilation of questions compiled and written by staffs of the Idaho Attorney General’s Office, Department of Health and Welfare and the federal Office of Child Support Enforcement. Does the legislation threaten the due process rights of Idaho’s citizens? No. In fact, the amendments expressly say that an Idaho court may refuse to recognize and enforce an order if the issuing tribunal (a court of law in another country) did not observe minimum standards of due process. This legislation actually increases due process protections compared to the current child support law in Idaho. Our agency has received official notification this evening from the federal Office of Child Support Enforcement that Idaho has 60 days to bring its child support program into federal compliance. The Idaho Legislature adjourned Saturday, failing to pass legislation to meet minimum federal requirements for working on child support cases with foreign countries. Failure of that bill prompted the federal government to issue a formal notice in its intent to disapprove Idaho’s state plan Tuesday evening. Idaho now has 60 days to correct the problem. If not, access to child support enforcement tools and funding will discontinue on July 1st.